is very easy, and we will go through it with you and will always assist if required. We can set up for an additional small charge, but a clear space must be ready, and our team will not move any furniture due to insurance. We will contact you a couple of days before your party to confirm what day and time we will be delivering your party depending on our route for that weekend with our other parties. Will My Theme Be as per the Pictures? The Photos are examples of our themes and styles, they may vary depending on stock and location. We require parking directly outside your property or on your driveway, without this we will be unable to drop off your party. If there are parking restrictions in place and a permit is required, you will need to supply this to us. Please advise if you live in a flat or would like the equipment taken anywhere other than the ground floor e.g. upstairs, loft, or basement, we will be unable to carry the equipment up and down stairs. 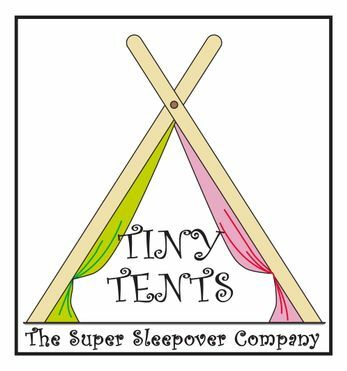 When Booking a Tiny Tents Super Sleepover Party, What Is Included? All items listed in the chosen package, including delivery and collection within a 10-mile radius. We require a £30 deposit for a party of four and additional £5 deposit per child thereafter. The balance of the party is to be paid on cash on the day of delivery. Can I Host My Party in My Backyard? No, Tiny Tents can only be used indoors. Is There an Age Bracket for Tiny Tent Hire? Yes, our Tiny Tents are not to be used by children under 5 years of age. How Are the Tiny Tents Cleaned? All Tiny Tents covers are cleaned after each hire using no bio washing liquid. Mattresses, air beds, pillows, and decorative items are always cleaned and disinfected. Are the Tiny Tents Waterproof? Are Your Tiny Tents Available to Purchase? Currently, we do not offer them for sale. No, our fairy lights are battery powered. You will only need electric if you require the electric pump to blow up the air mattresses. How Big Are the Tiny Tents? The Tiny Tent frames are approx. x1m Depth x0.6m width x1m height per tent. A minimum of 7 days’ notice must be given for requests to change the date of their hire booking. The customer’s request can be granted on the provision that preferred date is available. A request to change dates within 7 days of booking will be denied. We take your privacy very seriously. Please contact us for more details. Got a question of your own? Contact Tiny Tents The Super Sleepover Company Ltd for more information on the sleepover parties we put on across the UK.